MSP marketing today has more statistical opportunities than ever. From SEO, or Search Engine Optimization, to IoT, or the Internet of Things, it is possible to retrieve and interpret nigh-endless information. Not to use that information is foolish. When it comes to marketing, look at current clients, prospective clients, and your competitor’s clients. What attributes do they have in common? From this, you can construct several archetypal buyer personas which answer questions fundamental to closing a sale. Those questions are familiar. If you have ever written a story, you know how important they are in establishing character or plot. MSP marketing companies need to first determine whom they are aiming their marketing guns at. You are probably not going to get as much business from someone who sells tacos out of a truck as you can from a franchised fast food outlet looking to consolidate disparate stores. You have to identify who is most likely to secure your MSP’s services, and this will form the “skeleton” of your buyer persona. When you know whom you are looking to work with, then you start getting an idea on to how they think. A legal firm that is scaling up will think differently from the aforementioned franchised company. What are your client’s buying? What are your competitor’s clients buying? What are your specializations? What is it that prospective clients do not want? Your buyer persona needs to look at certain clients and what they are likely to buy, as well as what they are not likely to buy. This can help you identify if a client fits a certain persona, and avoid wasting your time trying to sell them things they are unlikely to be interested in. Where is your client located, where will they need primary support, and where is your primary office in relation to the client? Sometimes your location does not matter, especially if your client persona is of a type that prefers remote services. Sometimes your location may make or break a client conversion. This is something very important to include in any buyer persona. Are clients going to buy immediately? Is there a time they will not need your services for long? Are there services that could be offered during the interim? When is your client most likely to buy? Certain buyer personas will be at different stages of prospective purchase, meaning they will be more or less likely to convert based on when you pitch. How will the client use your services? Do they simply need some BDR, or are they interested in outsourcing an internal data network to the cloud? Again, different clients will use your IT services in different ways. Understanding why they need your services is another way to precisely optimize your marketing strategy. 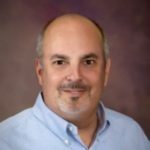 Jerry Sardis is 42 years old and is the CEO of Generic Industries. Generic Industries specializes in the production of popular vehicular accessories. Jerry’s company is in the process of scaling up. Jerry needs to reduce costs and expand productivity. He has expressed interest in IoT solutions. He is also interested in prospective cloud solutions in order to consolidate fringe outlets of Generic Industries and cut internal IT costs. This will allow him to focus on core company needs, as opposed to troubleshooting solutions. He has used remote support options in the past, but he is not sure if these will serve him as he needs. He is more likely to buy after a direct meeting than remotely. This is much less comprehensive than traditional buyer personas, but for illustration purposes, you get the idea. Actual bios will be informed by statistical data and usually will be more in-depth; but like this one, they will seek to answer the important questions. MSP marketing which strategically enumerates and applies data in relation to prospective clients will be more successful in attaining new ones. 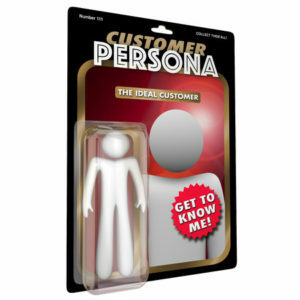 Buyer personas are an important part of utilizing that information.